The Apennines, hills and Adriatic coast – infinitely varied landscapes unfold with linearity to create the unique land of Le Marche. This region is characterised by its variety of places of interest, culinary and wine-growing traditions, and cultural heritage – all features contributing to acknowledge it as one of the Italian regions with the highest rate of quality of life. CasalFarneto Wine Estate is located in the centre of Le Marche, amongst the hills of Ancona province at the border with two well-known valleys: Valmisa and Vallesina. The latter, known for its small historical villages around the city of Jesi, is the ideal area for Verdicchio, a DOC white wine, praised by oenologists and sommeliers for its tasteful character. The landscape is dotted with wide vineyards designing its hilly skyline – a distinctive feature of a land full of traditions and colours. In the countryside just outside the small castle of Serra de’ Conti, 320 metres ASL, CasalFarneto winery is located. It was born from three farmhouses and later transformed in a gem of architecture blending with nature. The Estate’s land, located in the most ancient and historical area of Verdicchio Classico, covers 60 acres, 28 of which are dedicated to the well-known white wine of “Castelli di Jesi”. Furthermore, CasalFarneto production includes seven acres of red grape vineyards with a variety ranging from Montepulciano, Sangiovese, Merlot, Cabernet and Petit Verdot – all company owned. A few kilometres away from Contrada CasalFarneto, the townships of Serra de’ Conti, Arcevia, Montecarotto, Corinaldo, up to Senigallia, arise. These towns, nestled amongst the hills, tell us ancient stories of rural traditions, enriching the cultural heritage of this part of Le Marche. Apart from Verdicchio, in Serra de’ Conti an ancient peasant’s recipe has been retrieved. It is based on “chicking vetch”, an old grain legume that has become a flagship ingredient of the Slow Food movement. Halfway between a chickpea and a lentil, “chickling vetch” is a rare variety from Le Marche, which has been only recently rediscovered by an agriculture cooperative in Serra de’ Conti, where, every year, in Autumn, recipes and food pairings are suggested during the homonymous festival. Land of rarities, not only because of its delicatessens… Moving towards the mountainside one gets to Arcevia, a township embracing lovely villages (namely 18) with breath-taking views. CasalFarneto is particularly fond of this town because of a celebrated painter and sculptor, Bruno Bruni, known as Bruno d’Arcevia, who designed the elegant wine labels of the “Donna di Bacco” line. 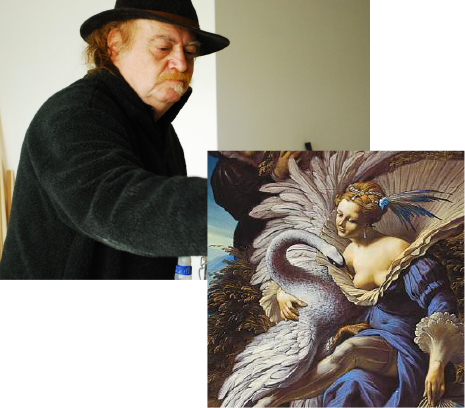 His Mannerist painting style conveys to his works that solid and gold colour typical of the Renaissance art, depicting elegance and sacredness in one artistic act. 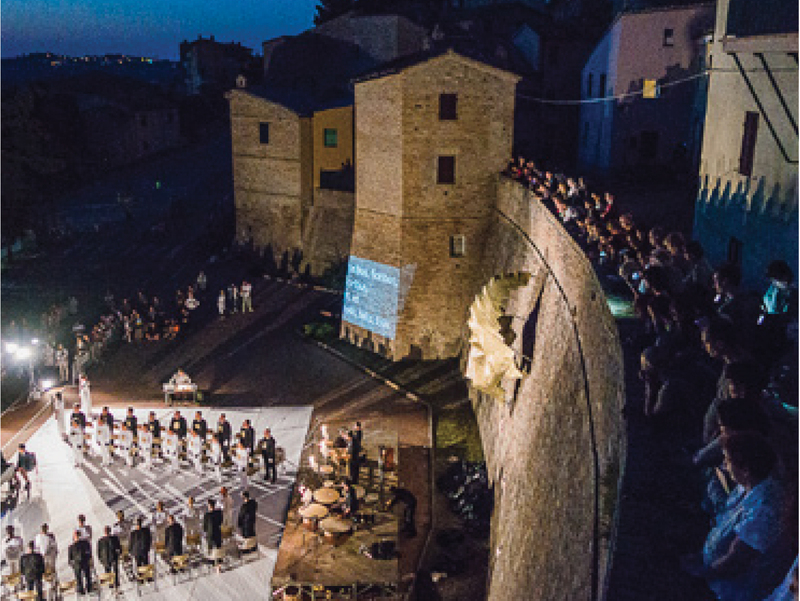 Artistic and historical beauty is the distinctive feature of Corinaldo, a township within Valmisa valley, awarded in 2007 as the most beautiful village of Italy. 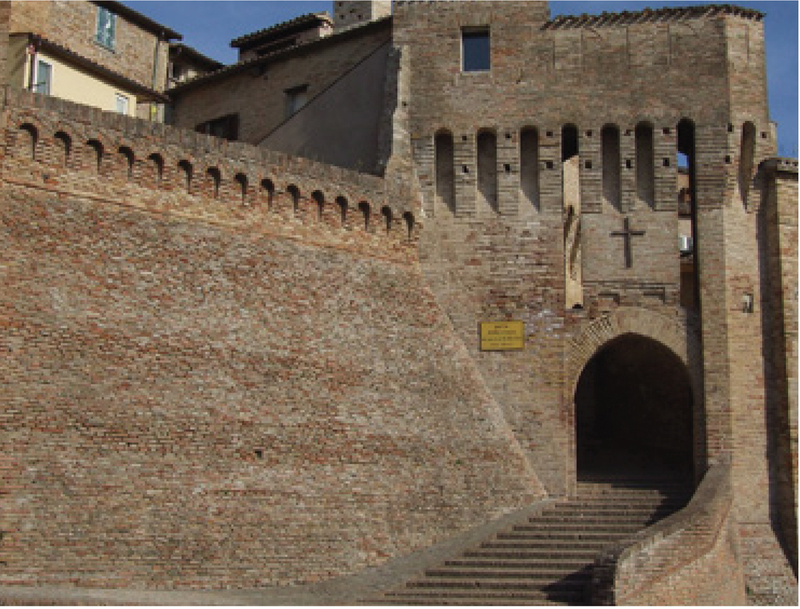 Its ancient town wall, which has been perfectly restored, is one of the most picturesque ones in Le Marche, for its excellent conservation state. 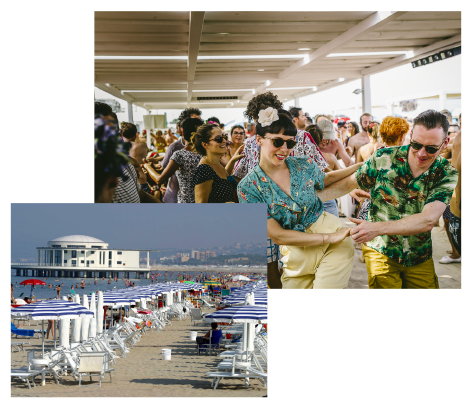 Driving towards the coast, one gets to the velvet beach of Senigallia, the most famous one in the Ancona province, tourist destination not only for its sea, but also for its famous Fifties Music Festival, Summer Jamboree. From the mountain to the sea, who visits Le Marche can’t miss to venture inland, not far from Fabriano, to visit one of the places of interest most visited by speleologists and tourists from around the world. Frasassi caves are a compound of underground caves discovered in 1971, near the small town of Genga, already known as a thermal station. 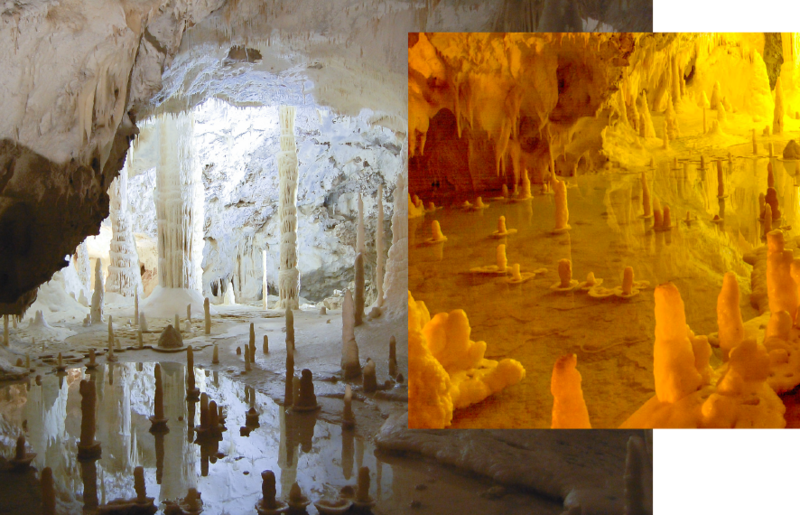 Randomly discovered by Ancona CAI (Italian Alpine Club), the caves extend themselves through tunnels inside the rock and immense spaces covered by stalactites and stalagmites of the weirdest shapes. It is a unique attraction, moulded by nature and time, and can be visited inside. It is worth mentioning also the suggestive Sanctuary of Frasassi Madonna, the Frasassi Adventure Park for kids, and the numerous rock walls for climbers.